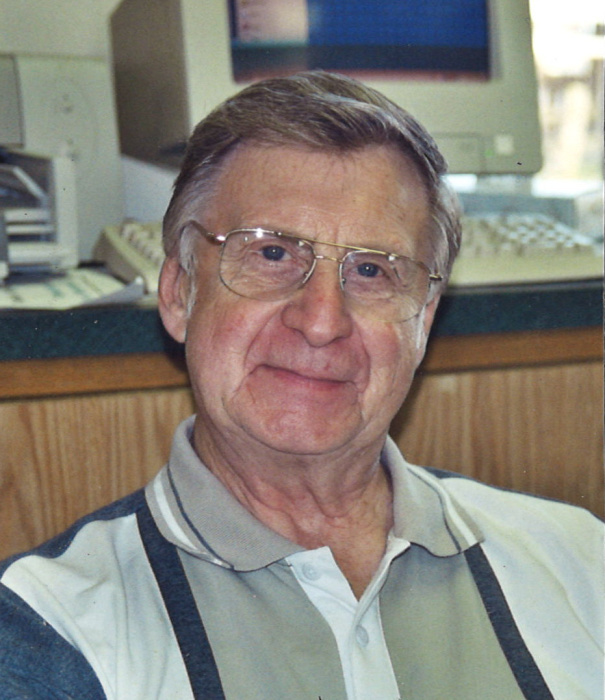 Harold D. Koppes, 85, of Dubuque, Iowa passed away on January 18th, 2019 at Unity Point Health, Finley Hospital. Funeral mass will be at 10:00 a.m. Wednesday, January 23rd, 2019 at St. Joseph The Worker Catholic Church with Rev. Thomas McDermott officiating. Burial will be in Dubuque Memorial Gardens with military honors by American Legion Post #6. Visitation will be from 4:00 p.m. to 7:00 p.m. Tuesday, January 22nd at Leonard Funeral Home & Crematory, 2595 Rockdale Road where a wake service will be at 4:00 p.m.
Harold was born on June 13, 1933 in Bellevue, Iowa the son of Archie and Jennie (Brown) Koppes. He graduated 12th grade from Bellevue Community School. He served in the US Army from 1954 to 1956 in Germany; and was a member of the 389th Army Engineers from 1951 to 1971. He married Iona Rose Steines on May 18, 1957 at St. Peter and Paul Church in Springbrook, Iowa. He worked for John Deere Dubuque Works from 1956 to 1986. After retirement he worked for Thunder Hills Pro Shop. Harold enjoyed bowling and it consumed more than 50 years of his life. He was a member of the 700 Club, Hall of Fame and member and President of Junior Bowling. He is survived by his wife of 60 years Iona Rose; his daughter Kimberly (Eric Chew) Koppes; Grandson Shawn (Stacy) Stackis and granddaughter Kelly Stackis. Great grandchildren, Brianna (Tyler), Aleece, Kaylee, Ashleigh, McKenna, Rylie and Brynlee. His sister Joyce (Larry) Michels; along with nieces, nephews and many in-laws. He was preceded in death by his parents; his step-father Donald Weyhgont, his maternal grandparents; a sister Lois Guenther; brother Ron; great granddaughter Maggie; nephew Bobbie and niece Connie. The Koppes family would like to thank Dr. Schope, Dr. Khon, and the Unity Point Hospital staff for the care and compassion given to Harold. Also a special thank you to a great friend, D. James Edwards for always being there.